Shhhh! Digital Media: Happy Pi Day! As you've probably already seen thanks to Google, today is Pi day! The most popular and perhaps the best known transcendental number. Today I'm going to talk a little bit about all things Pi on this wonderful Pi day. 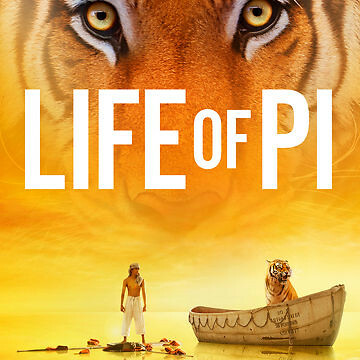 The movie Life Of Pi is based upon a book by the same name written by Yann Martel and is directed by Ang Lee. Google's description of the film: After deciding to sell their zoo in India and move to Canada, Santosh and Gita Patel board a freighter with their sons and a few remaining animals. Tragedy strikes when a terrible storm sinks the ship, leaving the Patels' teenage son, Pi (Suraj Sharma), as the only human survivor. However, Pi is not alone; a fearsome Bengal tiger has also found refuge aboard the lifeboat. As days turn into weeks and weeks drag into months, Pi and the tiger must learn to trust each other if both are to survive. To understand the connection between the story and the transcendental number you'll just have to read it or see it for yourself. I highly recommend the film if you haven't already seen it. Pi is also sounds phonetically like the file extension for Python source files (.py), a popular language used by many coders. In Carl Sagan's book Contact (perhaps one of my favourite books and movies), the number Pi plays a very prominent role (that's spoiler free by the way in case you are thinking of reading it). What do we know about the transcendental number Pi? The number Pi represents the ratio of a perfect circle's circumference to its diameter. That is, a circle with a radius of 10 units will give us a circumference of 62.83 rounded down to two decimal places. If we take the circle's circumference and divide it by its diameter (diameter = 2 x radius) we should end up with Pi. Hence Pi is a ratio related to any perfect circle corresponding to its circumference divided by its diameter. Pi's extensive history can be read about on Wikipedia. What makes Pi so important is that it describes mathematically the means by which we can make and measure the perfection and accuracy of circular objects and their qualities. Any device with moving parts such as gears and spindles rely upon knowledge of Pi. For instance being able to calculate the circumference of a part crafted on a lathe tells us how much ground it would cover over the course of one turn. This is useful also if such a part is being used with a belt. Knowing the circumference of such a part also tells us in relation to the radius of the part how much torque force would be required to turn it and a load. In this sense, Pi is of utmost importance to our most fundamental machines. Also it is used to check the perfection of lenses and mirrors for optical devices and telescopes whose accuracy depend upon the perfection of the viewing medium. Knowing Pi also allows us to calculate the approximate circumference of the entire Earth, the distance between the surface of the Earth and the Sun. The distance to the Moon and a variety of other facts all without having to circumnavigate the Earth in order to calculate such information. In fact, you can calculate these things in place without having to travel more than a few meters just by using the shadows of the Sun and by knowing a little bit of trigonometry. All of that is pretty powerful knowledge considering how important that knowledge is for creating Calendars which are essential for understanding the growing seasons for most crops. All for the small price of remembering a little bit of your grade school and high school homework. With that kind of knowledge you could manage the sustainable growth of a small civilization. What is some other neat stuff about Pi? There is literally all kinds of neat stuff to do with Pi on the internet. You could check out Wired Magazine's article 6 Things You Probably Didn't Know About Pi, an interactive playground in itself. You could read about measuring the physical properties of a Photon, an interesting article by Jean Louis Van Belle which in essence only requires Pi to an accuracy of about 20 or 30 digits. Hey! Pi Day Is Really Close To International Women's Day! Want to calculate Pi with your computer? 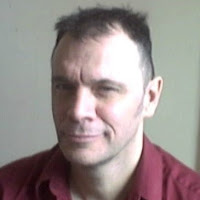 y-cruncher is a Pi calculating program for Windows and Linux machines created by Alexander Yee. So as you can see, there's much to do on Pi Day. Here's an interesting International Women's Day trivia related to Pi Day. In case you don't recognize Danica McKellar, she played Winnie Cooper on the television series The Wonder Years. She's also a Mathematics teacher/writer and an advocate for education. Speaking of education and International Women's Day and mathematics, here's another site I recently added to the Allies section of Shhhh! Digital called Tibees. She's a student in a Physics PhD program who shares interesting and practical information for any student considering a post high school education in Physics or seeking their Physics degree. A great YouTube site that I highly recommend. Have a great Pi Day!